Daylight has been used for centuries as the primary source of light in interiors and has been an implicit part of architecture for as long as buildings have existed. Not only does it replace electric light during daytime, reducing energy use for lighting, it also influences both heating and cooling loads, which makes it an important parameter of an energy efficient design. Additionally, recent research has proved that daylight provides an array of health and comfort benefits that make it essential for buildings’ occupants. Daylight availability outside varies for different locations due to different sun paths and sky conditions through the course of the day, the season and the year. Put simply, the amount of light on the ground depends on the solar elevation; the higher the sun, the greater the illuminance on the ground. 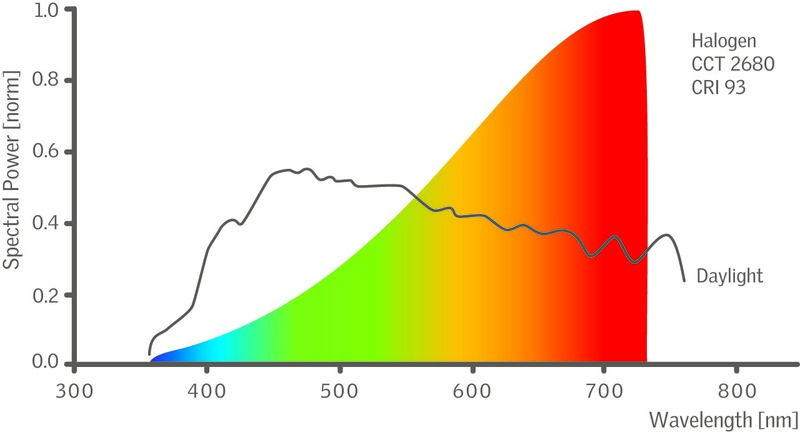 Daylight levels vary significantly on horizontal and vertical surfaces by time of day and season, directly related to the local sun paths and sky conditions. 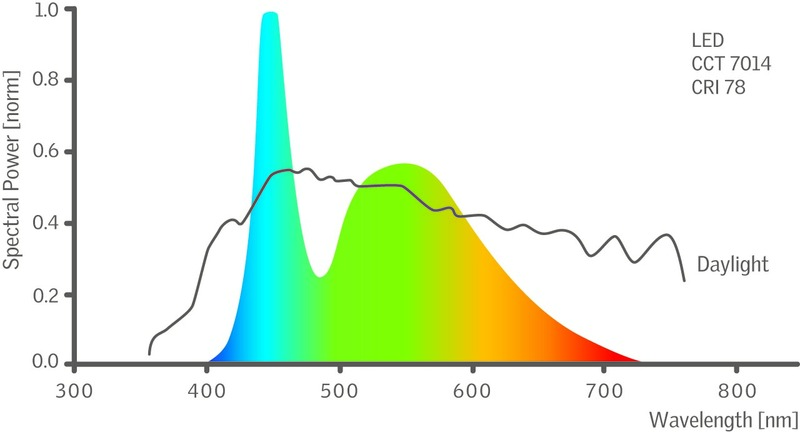 While certain electric light sources can be constructed to match a certain spectrum of daylight closely, none have been made that mimic the variation in the light spectrum that occurs with daylight at different times, in different seasons, and under different weather conditions (Boyce et al., 2003). 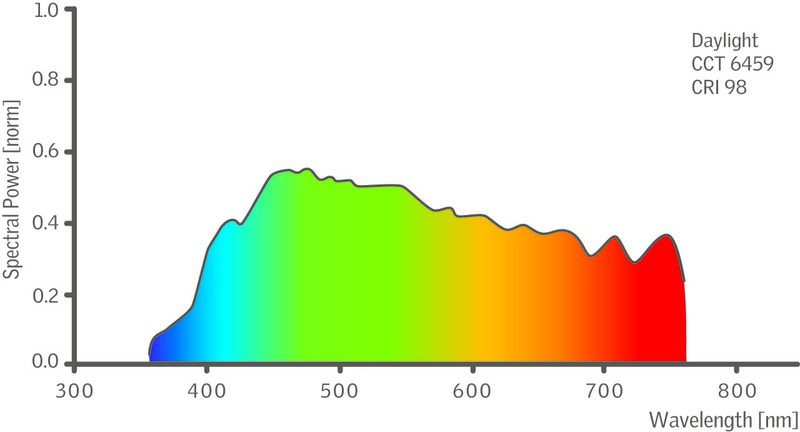 Figure ​1.1.1 Diagram of the electromagnetic spectrum showing the location of the visible spectrum. 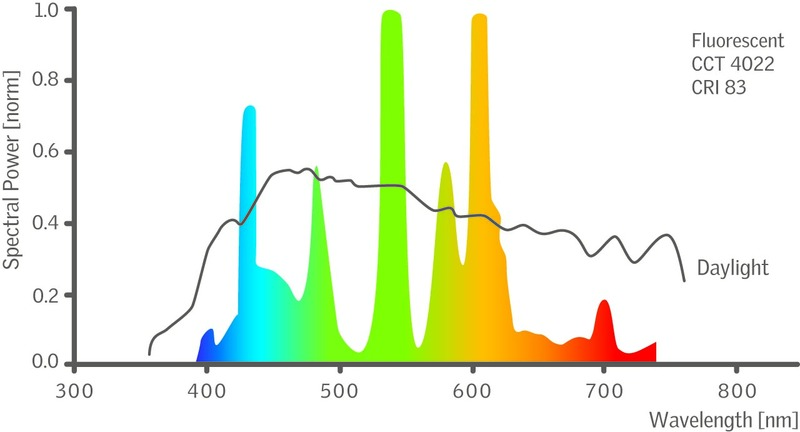 Figure 1.1.2 Spectral composition of four typical light sources - daylight, halogen, fluorescent, and LED. Measurements made by John Mardaljevic. 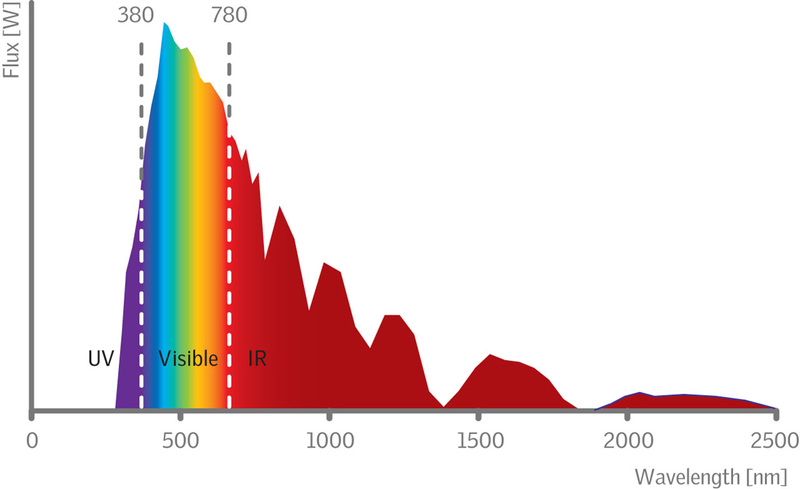 Of the solar energy received on the surface of the earth, 40% is visible light and the rest is ultraviolet (UV) and infrared (IR) wavelengths. No electric light source can mimic the qualities of daylight.